What are today's best methods for teaching literacy skills to students with complex support needs—including autism, intellectual disability, and multiple disabilities? This comprehensive guidebook has up-to-date, evidence-based answers for pre- and in-service educators. 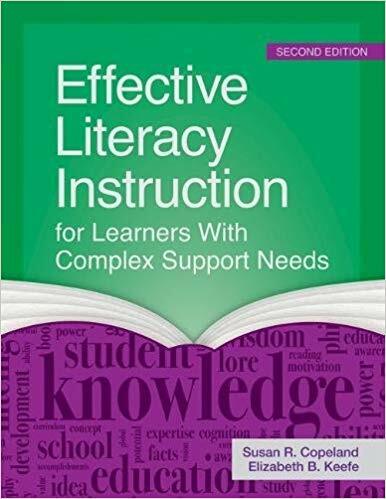 Developed by Copeland and Keefe, the experts behind the landmark book Effective Literacy Instruction for Students with Moderate or Severe Disabilities, this thoroughly reimagined follow-up reflects 10 years of groundbreaking research and advances in the field. You'll discover current recommended practices on critical topics, including how to build vocabulary, increase word recognition, enhance fluency, address cultural and linguistic diversity, and use academic standards when designing instruction. You'll also get the guidance you need to put theory into practice: powerful lesson planning strategies, practical examples, and case studies that bring key principles of instruction to life. 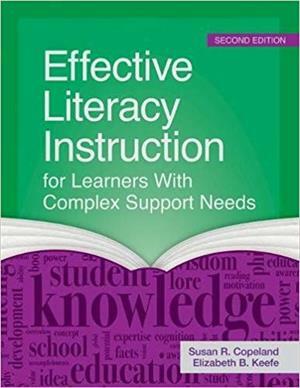 Whether used as a text for teachers in training or a guide for practicing educators, this book will help teachers of Grades K–12 increase access to literacy and prepare all learners for successful communication, employment, and community life. The Purpose of Education—Or, What Do You Believe and Why Does It Matter? But What About the Individualized Education Program? Chapter 8 Words, Glorious Words! Considerations for Assessment: What Does It Mean to “Know” a Word? What Happens When We Recognize a Word in Print? Why Teach Students to Write? Chapter 15 Where Do We Go From Here?